Nearly two hundred years of abundant and consistent afterlife evidence suggests that the imperfect and human-like Gods of all the various religions do not exist. But, wonderfully, the afterlife evidence also abundantly confirms that there is indeed a genuine God, and that God is much more powerful, more perfect, and more loving than any religion ever has dared to dream! 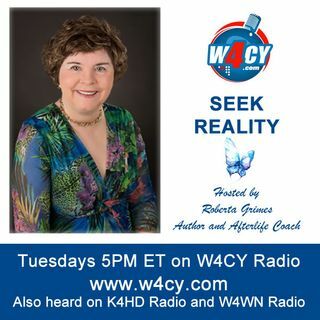 This show is broadcast live on Tuesday's at 5PM ET on W4CY Radio – (www.w4cy.com) part of Talk 4 Radio ... Maggiori informazioni (http://www.talk4radio.com/) on the Talk 4 Media Network (http://www.talk4media.com/).